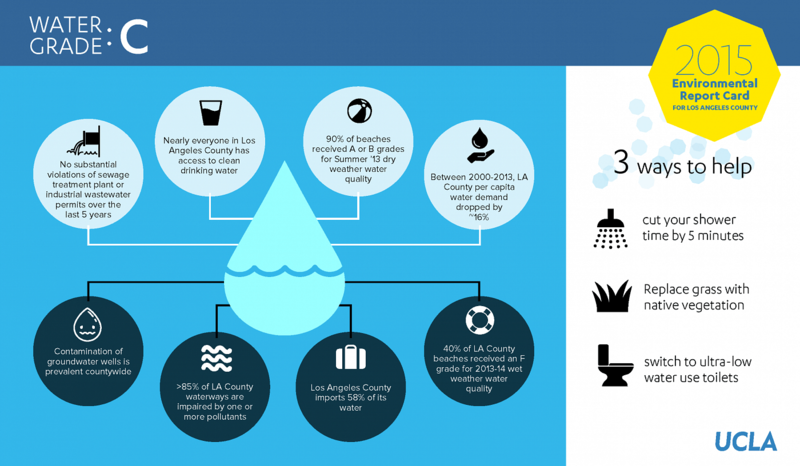 The challenge of moving towards sustainability in Los Angeles County is daunting: it is the most populous county in the nation and consists of 88 individual cities. 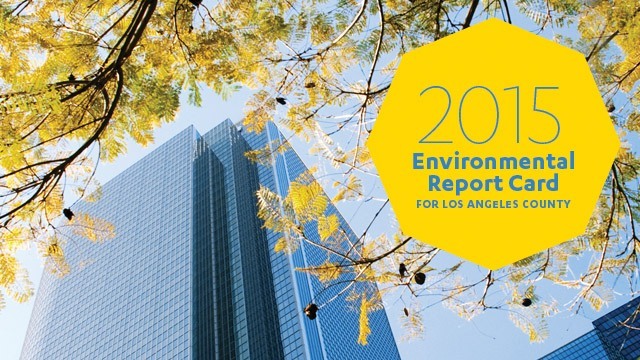 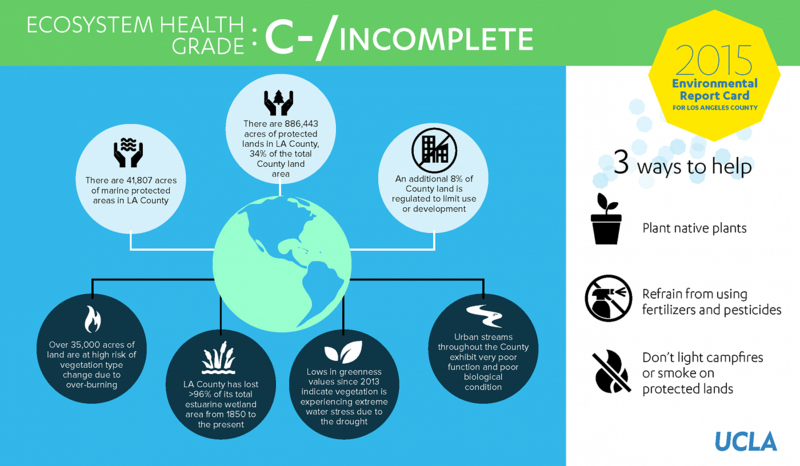 After nearly two years of gathering and analyzing data, the Institute of the Environment and Sustainability at UCLA has developed an Environmental Report Card for the County of Los Angeles, the first of its kind in the nation for a major metropolitan area. 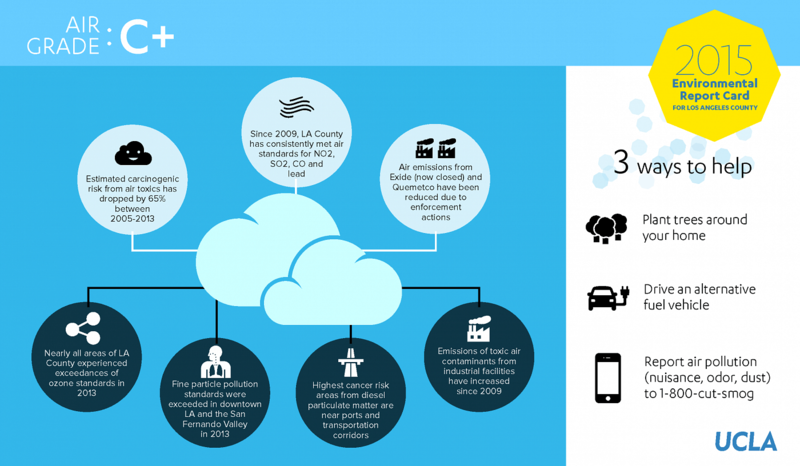 and as a thought provoking tool to catalyze policy discussion and change. 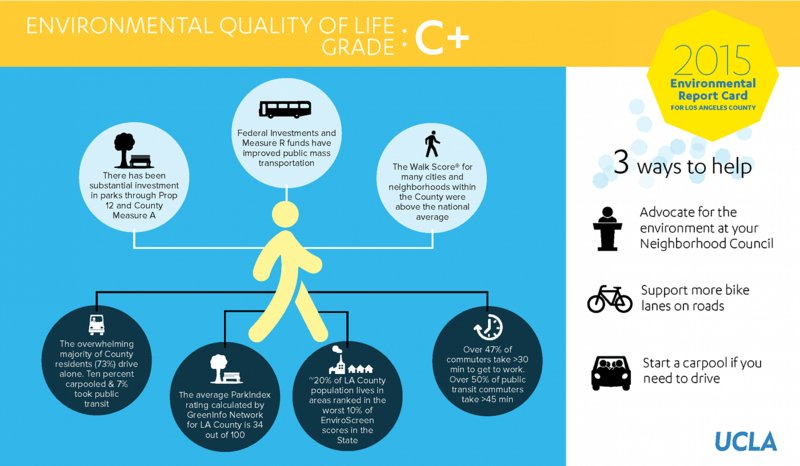 In collaboration with the Goldhirsh Foundation and the LA2050 initiative, our hope is to start a conversation within the community about what our overall goals should be for LA County’s environment, how we can better measure our progress, and what we can do to make substantial strides toward reaching these goals. 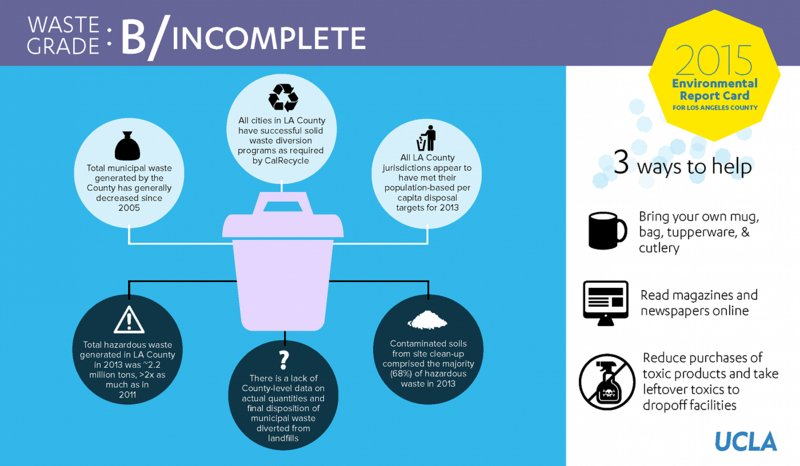 “Despite the fact that all cities in region comply with state solid waste management laws, we don’t have the data to determine how much waste is recycled or diverted from disposal in landfills,” Mark Gold said. 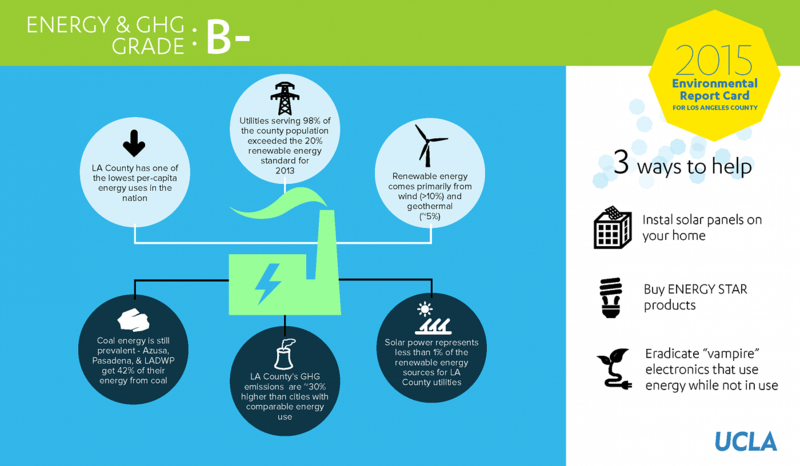 “By making our buildings more energy-efficient, making greener transportation choices and getting off of coal as an energy source, the region could become a national leader on both energy efficiency and greenhouse gas emission reductions,” Stephanie Pincetl said.